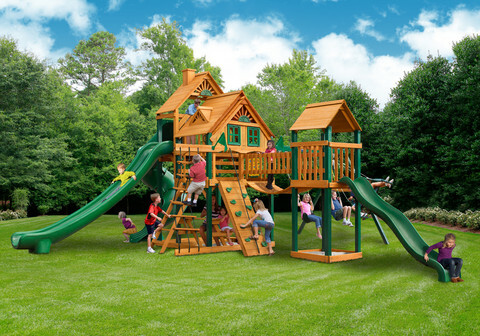 NJ Swingsets: The Friendliest and Most Trusted Swing Set Store in the United States! Well hello there! Jay here from NJ Swingsets. Remember going to the park as a kid? Playing around on the swings, meeting new people, and running? It was the place to meet new friends — to pretend and make jokes. Some of our most important first memories are formed while playing - and there isn’t a much better place to play than a swing set! Next time you take your kids to the park, notice the smile on their face as they climb on the monkey bars and slide down the slides. A swingset lets you have access to that kind of entertainment anytime, without the hassle of leaving your yard. And, it helps build the habit of exercise with your kids before video games can win them over. 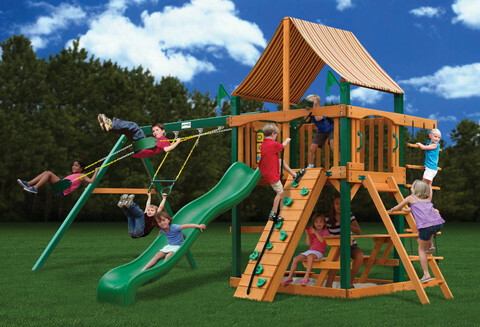 NJ Swingsets has one of the largest selections of wooden swing sets in the country. 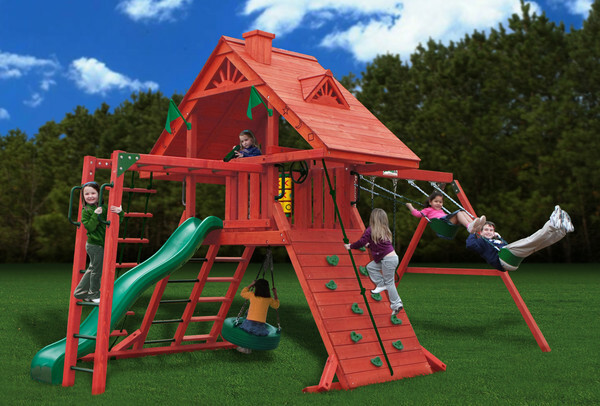 We have small swing sets for tight spaces, and huge ones for those big back yards! Let our expert installers deliver and install your dream set! If your kids are into jumping, we carry the coolest and safest trampolines on the market. And if your kids love sports, come check out our top of the line basketball hoops. Stop by our showroom in Bergen County and find the swing set, trampoline or basketball hoop your family has been dreaming of!